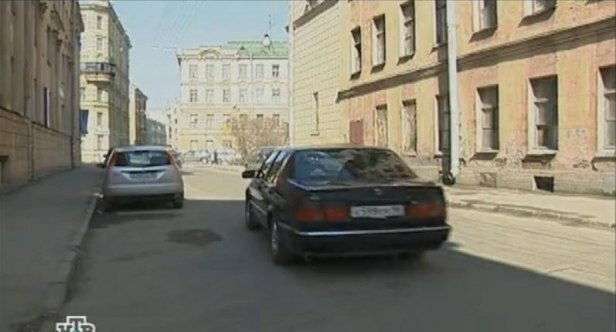 IMCDb.org: 1994 SAAB 9000 CD in "Ulitsy razbitykh fonarey, 1997-2019"
I couldn't find a 9000 with those taillights, but the 1997-2001 9-5 looks like a match. Yes, it is 9000 CD after the last facelift. 9-5 was more rounded etc.